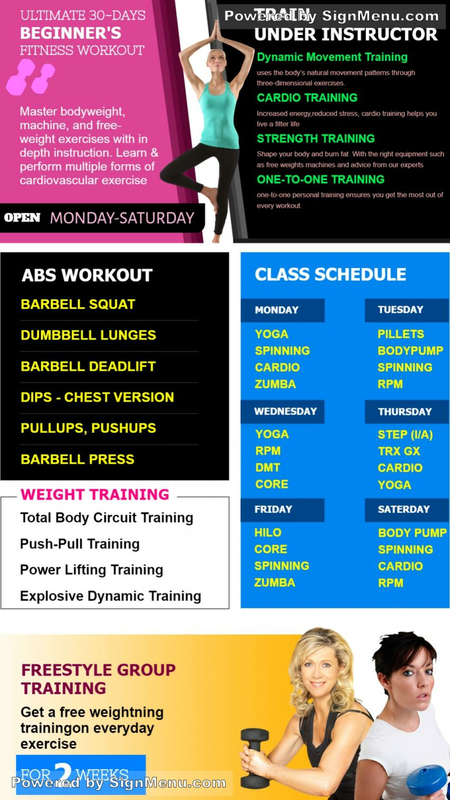 This template showcases a women's fitness center with numerous exercises and training sessions. This template is best showcased on a digital screen and placed atop the fitness center and indoors for maximum impact . The gymnasium business is usually reliant on word-of -mouth publicity by satisfied customers. The digital signage systems therefore compliments all other forms of advertising and conveys the marketing message effectively. Further, software technology has enabled salon owners to update their content anytime, and from anywhere. This template provides a benchmark for your digital screen and is ready for download and use.